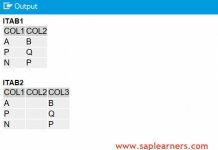 Hello everyone, in this blog you we are going to learn about Internal Table Expressions in ABAP 7.4 Release. This is second part in series of blog on What’s New in ABAP 7.4 Release. Please read our first blog on Inline Declarations for DATA and FIELD-SYMBOL. Lets get started. Before ABAP 7.4 we use READ TABLE syntax to read the internal table, but with new release of ABAP 7.4 SAP has introduced table expressions to read the internal table with brand new syntax. We can read the internal table data with 3 possible ways.You will learn how to use table expressions to read the internal table which is different from old syntax READ TABLE … . READ TABLE IT_MARA INTO DATA(WA_MARA) INDEX 1. DATA(WA_MARA) = IT_MARA[ 1 ]. 2. 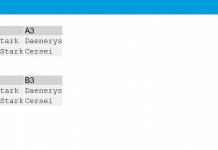 READ USING a FREE KEY – Read the internal table using the free key. Before Netweaver 7.4 we use APPEND syntax to append rows to the internal table, but with new release of Netweaver 7.4 SAP has introduced table expressions to initialize the internal table with brand new syntax. it_old  TYPE STANDARD TABLE OF ty_old WITH EMPTY KEY. 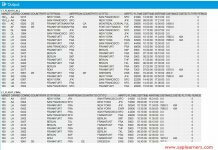 tty_new TYPE TABLE OF ty_new WITH EMPTY KEY. ( f1 = 'B') ). READ TABLE IT_BOOKINGS ASSIGNING <FS_BOOKINGS> INDEX 1.
it_bookings[ 1 ]-carrid = 'NP'. it_bookings[ carrid = 'AA' connid = '17' ]-carrid = 'NP'. connid = '17' ]-carrid = 'NP'. In ABAP 7.4, we have new syntax to check if the record exists in the internal table based on some conditions. This syntax is short form to READ TABLE with TRANSPORTING NO FIELDS followed by sy-subrc check. LINE_EXISTS function will return “true” if the row exists and “false” if the row does not exists. In ABAP 7.4 release, we have new syntax LINE_INDEX() to identify the index of a row when a condition is met while reading the internal table. The new syntax is similar to READ TABLE with TRANSPORTING NO FIELDS followed by sy-subrc check. if sy-subrc = 0, then sy-tabix will give the index of the row. Congrats! You have successfully learned new features in ABAP 7.4 release. Next time when you write code try using the new syntax and let us know your experience. Please stay tuned for ABAP for HANA/ABAP 7.4 tutorials. Leave a comment in the below comment section and let us know your feedback.